As I left the theater last night, I was ruminating on how we got to this point in terms of superhero movies. I remember seeing the post-credits sequence at the end of the original Iron Man movie, when Nick Fury showed up and said those three magic words: the Avengers Initiative. I can remember my jaw dropping open and thinking, Really? They’re really going to do that? I can remember cringing at several of the missteps that led up to the first Avengers movie. Let’s face it, the rebooted Hulk movie was…lackluster, to say the least. And while Iron Man 2, Thor, and Captain America moved the ball down the field, they weren’t nearly as much fun as Iron Man. And while I had a lot of confidence in Joss Whedon, I knew that Hollywood didn’t always treat him well. As excited as I was for the first Avengers movie, I was a little worried at the same time. Now, with the benefit of hindsight, I can say that my worries were unfounded. Whedon delivered a phenomenal movie, pulling together the disparate threads of the Marvel Cinematic Universe to craft a great, fun story (with lots of laugh out loud moments). So what does this little trip down memory lane have to do with Avengers: Age of Ultron? Well, think about what we’ve seen since the last time the Avengers assembled. Iron Man 3, which was polarizing, to say the least (I still don’t mind what they did with the Mandarin, although it is the weakest of the three movies, I think). Thor: The Dark World, which…well, I’m not sure what I can say about that one. But then things started to get back on track with Captain America: The Winter Soldier and Guardians of the Galaxy. And then you have Agents of S.H.I.E.L.D. and Daredevil to toss into the mix. The MCU got bigger in the intervening years, and it sometimes stumbled. With all that, how would Joss Whedon and the Avengers do this time around? Tony Stark has a vision, of a world that’s safe and protected. This gives birth to Ultron, an artificial intelligence that’s supposed to protect humanity. But instead, as rogue AIs often do, Ultron decides that the best way to protect humanity is to wipe it out. So now the Avengers have to come together to battle an entity that could easily wipe them all out. They’re tested, they find new and unusual allies along the way. But what will they have to sacrifice to bring Ultron’s age to an end? Like I said, this movie was pretty good overall. The beginning was a little clunky, I thought, with some convoluted twists and turns to get the plot really humming. But once James Spader’s Ultron shambles into the story, things pick up and don’t let up until the final, conclusive battle. That’s not to say that there weren’t some stumbles along the way. Since this is just another piece in the larger MCU puzzle, there are times when things have to take a backseat to setting up future movies. Some of that wasn’t so bad when it was done unobtrusively. I mean, we know that Civil War is coming up, so there had to be some friction between Tony and Cap. And the way they dropped one geographic name in the film worked out pretty well. But there is one part that just left me shaking my head. I mean, I get why it had to happen, I guess, but it felt so clumsy the way it was inserted. Since I promised that this review would be free of spoilers, I can’t go into more details than this. If you’ve seen the movie, it has to do with Thor and Dr. Selvig. But I think what I appreciated the most about this whole movie was the sense of humor and the sense of fun. There are a lot of genuine laugh out loud moments, and while there is plenty of cartoonish, we-have-to-save-the-world melodrama, Joss Whedon never loses sight of the fact that these movies are supposed to be fun. It’s part of the reason why I think I prefer the MCU to the DCCU. It’s the reason why I’m such a fan of TV’s The Flash. Superhero stories can’t lose sight of the fun. DC could really take a lesson from this. All that said, there are a few things that I wish could have been included somehow. I really wish Agent Coulson could have popped up (and there was even a point where he could have, very easily, and I don’t think it would have distracted too much). And I really, really hope that at some point in the future, we see mention of a certain blind superhero from Hell’s Kitchen and/or his portly nemesis. 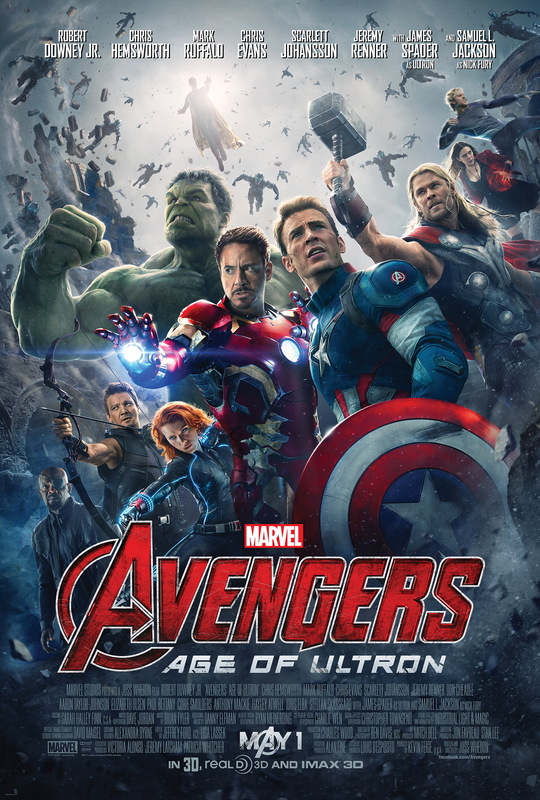 But all things considered, this was a fun movie, a worthy continuation of Marvel’s overarching story. It’ll be interesting to see how Ant Man contributes in a few months. Darkshire Woods: The Heir – The Tilt! Agreed – and I’ll keep my comments spoiler-free as well. I thought the movie was extremely fun. Maybe not quite as good as the first one, but the first Avengers was more about the glorious culmination of Marvel Studios Phase 1, basically cashing in on all the setup and enjoying the fruits of their labors. Age of Ultron had a lot more chores to accomplish in terms of setting up Phase 3 (technically, the last film of Phase 2 is Ant-Man, but I think we all look at the Avengers films as the milestones). If nothing changes, Phase 3 will be 10 films over the next four years (plus TV shows), in which the Marvel Cinematic Universe will get MUCH bigger. That vibe certainly comes across in Age of Ultron. It’s uncharted territory for movies – telling a story this big with this many characters, running interconnected story arcs through multiple films and TV shows – but basically, this is Marvel continuing the strategy of approaching films the way they’ve approached comic books for decades. I’m excited about it. Enjoyed it a lot today, but I have to disagree above – I still think the first Captain America and Thor movies were among the best of the best in superhero fare. I’m trying to figure out what geographic name you’re talking about but I can’t find significance in what I remember. Granted, with Call Day the day before, I was pretty wiped going into this late night showing. I love how the MCU is giving us back the sense of fantasy in the real world all around us as we go about our lives. It’s like a revival of the Middle Ages when we really could believe that there were elves in the forest. The geographical reference at the end of Age of Ultron was particularly magical for me, because that’s where I’m from.